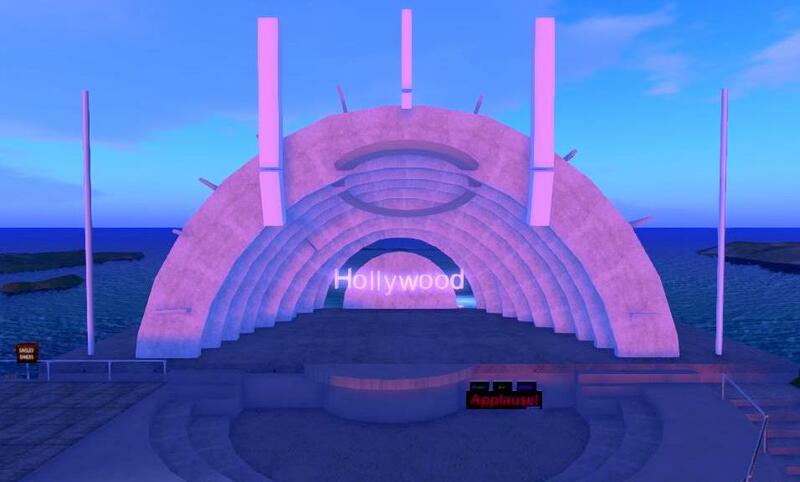 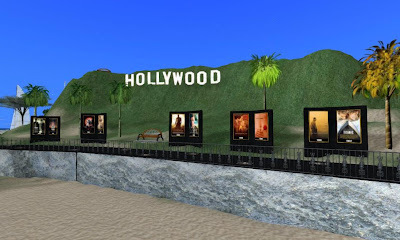 The Hollywood Sim on the Blake Sea is a very impressive build- and central to a series of interconnected and common themed sims. An airport, yacht club, Hollywood Walk of Fame, realistic train (I am not sure if it moves but it looks great), and a virtualization of the Hollywood Bowl (below) make it a must-see destination. I am not sure if the sim is under revitalization, or has seen better days with missing tenants- part of it seem frozen in time. 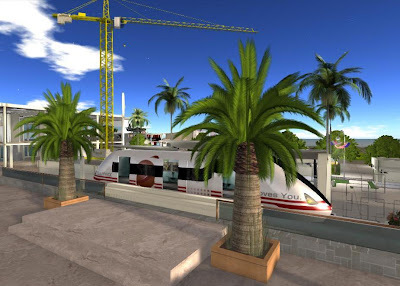 The giant construction crane which can be seen over the sleek train in the photo below is hopefully indicative of more development to come. 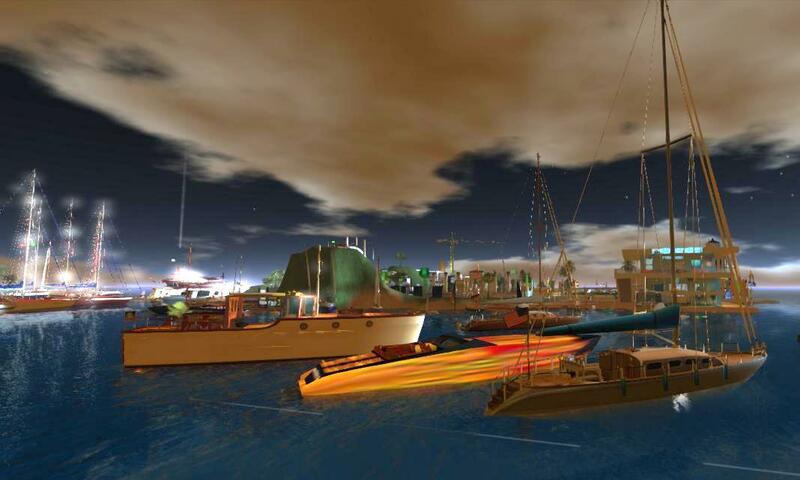 This machinima by builder MarkTwain White gives a nice overview of the complex.